Good day girls! 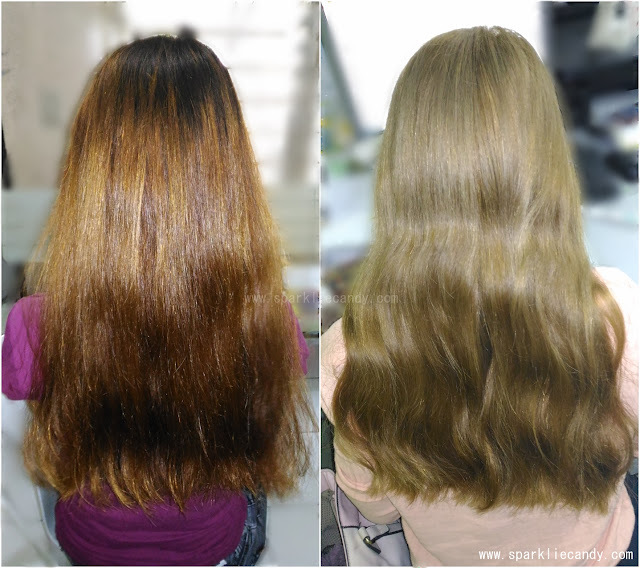 Today I would be sharing you my Palty Hair Color in Milk Tea Brown Review. I remember my little sister with her ash blonde hair and its a really nice color. I find my old brand quite drying for my hair so I looked high and low for a similar shade and I found Palty! Boxed hair color with english translation and all. 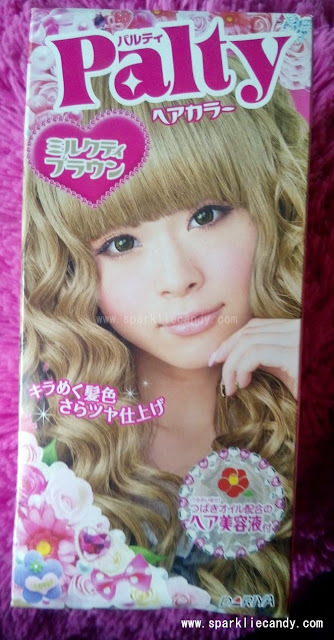 All inclusions of this boxed dye is posted in my last Palty Hair Color in Sakura Creamy review. A quick recap on my hair, I have this brassy hair for a while now til I've decided to go blonde. I bleached my hair twice before I used Lolane (which basically changed only the brassiness part) then I proceeded with the Palty Hair Color in Milk Tea Brown. I bought about just one box for my hair.The waiting time is 30 minutes only, compared to my usual one hour. I had my mom to help me, she didn't had a hard time because the applicator makes it so easy. I know that maybe 2-3 boxes is recommended for long hair, but I really don't care because I just need to dye my hair so it will look even. We need to make do with what we have, I asked my mom to focus on the upper part of my hair. I like how nice it smells, no ammonia or funky smell. This is great because we did the coloring process inside the room. And so here is the result of my 30 minutes hair color with Palty. 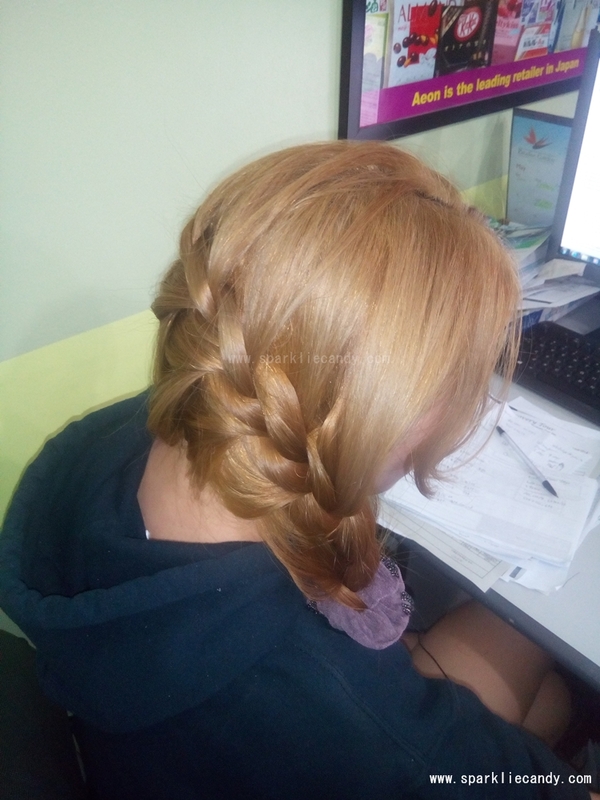 At first, my workmates said it looks a bit greenish. Maybe because of the fact that it does happen when hair is dyed with ashy colors, read here. For me my hair looks ashy enough and the hint of green is very light so I really don't mind. Hair is somehow honey blonde but not some shade I can call very light brown. This was taken with flash by the way, a day or two after coloring. The bottle applicator with brush is so handy! I want to try their Bubble Dye! Yes.I recommend Palty Hair Color in Milk Tea Brown for gals who want to go for a type of blonde which is not eye catching enough to be worn at school or work. Okay, don't quote me on that. 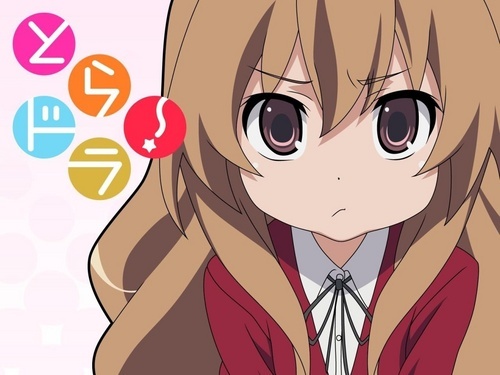 Of course it will still depend on your school or workplace if they allow blonde hair. I just really hope there will be acceptance on different hair colors *meep* I really think this is some kind of safe shade of blonde. Palty Hair Color in Milk Tea Brown is a nice shade if you are aiming for something ashy. 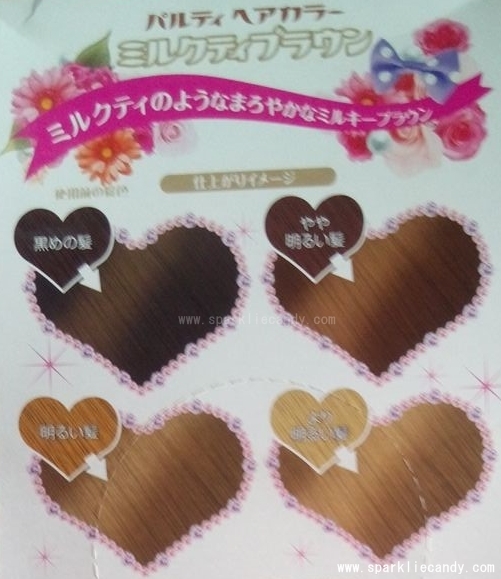 Its not straight-forward brown and its not straight-forward blondish shade either. I really like how it turned out but remember to use 2-3 boxes if your hair is long. Or your hair may fade to something like below. This was taken I guess after 2 weeks after coloring. Now I know why it was called milk tea brown. This is more like milk tea color, meow. I am guessing that if I used more than one box the faded color will be more like grayish brown instead of golden brown. Now I think my hair is more similar to below anime character. 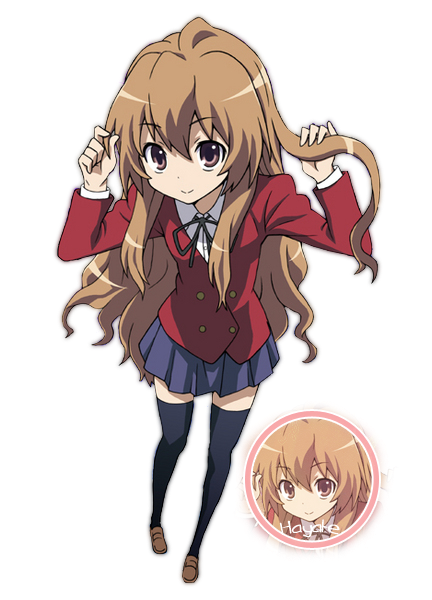 Tenori Taiga of Tora Dora. Hohoho~ Anime marathon of this series, and I am loving her lately.